Channelling pure, unadulterated '70s rock godliness, Brit rock outfit Temples took to the valley stage to a crowd bathed in afternoon sunlight. Opening with the title track "Certainty" off their latest release Volcano to projections of kaleidoscopic, swirling, dip-died images, Temples proved that while they wear their influences heavy on the sleeves of their well-tailored jackets, that they could still bring a noted sense of individuality to a classic, psych-rock performance. 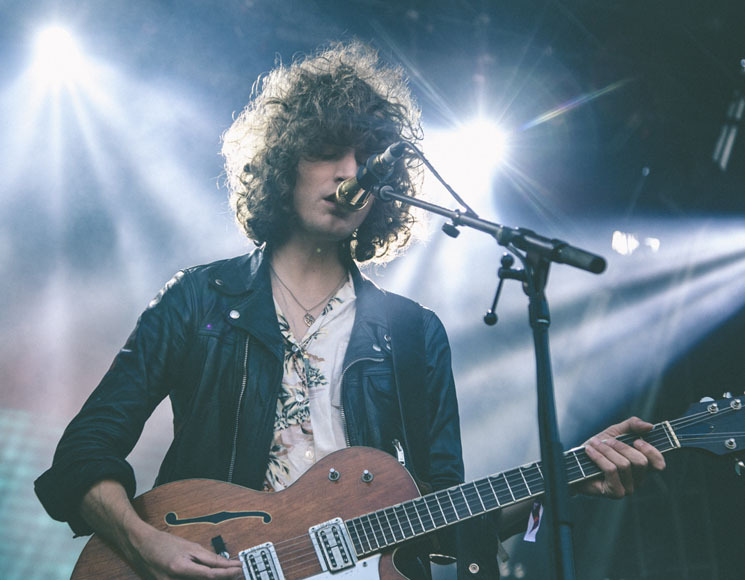 Dressed entirely in black and white, Temples' bell-bottomed aesthetic harkens back to the glam era of rock androgyny; their look says as much about their music as their lyrics. Moving through songs like "Roman God-Like Man," "I Wanna Be Your Mirror," and "Mesmerize" off their previous record Sun Structures, lead singer James Bagshaw's hypnotic falsetto sent the crowd swaying, as the rest of the band nodded along in deep concentration. Continuing their set with "Strange or Be Forgotten," with the lyrics "I am living in the past / Future came to me / Caught up in the tide of a distant memory," it became clear that while other psychedelic contemporaries like Tame Impala rely on the idiosyncrasies of one person, Temples move along as a unit, preaching the gospel of psych-rock masterfully; their congregation of concert goers eating it up with a spoon.